Design specifications for the sound reinforcement systems of selected stadiums, under consideration of the prevailing acoustic conditions. The work was carried out together with the acoustic office Arhiton of St. Petersburg. Computer models of the software EASE were created in all stadiums under consideration. As per material specifications given by the architect, the reverberation times under the stadium roofs could be simulated. 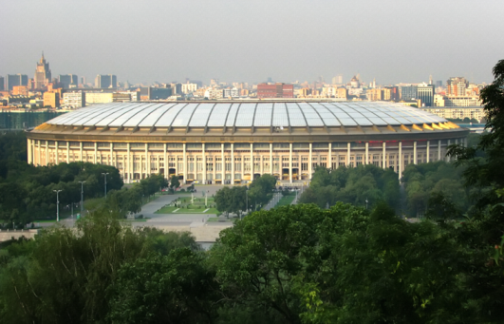 Special services were carried out for the renovated Lushniki stadium in Moscow (81,000 spectators), since several loudspeaker manufacturers were bidding for the equipment of the stadium. It was also important to consider the demanding FIFA requirements, which had been tightened once again for the World Cup in Russia in comparison to the last Cup in Brazil. In addition to high intelligibility values, noise levels around 110dBA are to be expected, which raise the demands on the maximum possible radiated sound pressure levels. At the Lushniki Stadium, McCauley's line arrays are installed as a result of these investigations. In other stadiums, JBL, Function One and Electrovoice products are planned or already installed. The office Arhiton is expected to support the measurement of the sound reinforcement systems.